Cancel the next election! The results are already in. 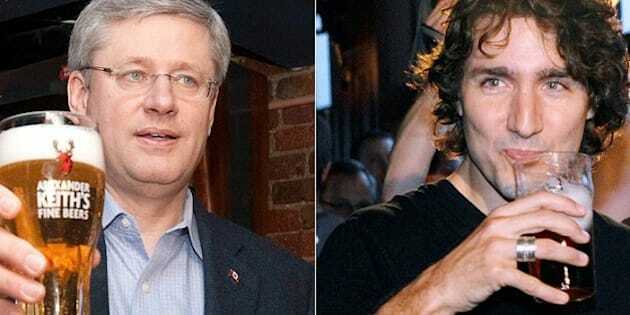 More Canadians would rather grab a beer with Justin Trudeau than with either Stephen Harper or Tom Mulcair. On second thought, maybe that doesn't settle it. The question of "who would you most like to have a beer with" may not be the deepest one asked by pollsters, but it tends to be a decent proxy for likability and whether a political leader is relatable. These can be decisive factors in an election campaign. EKOS Research asked this question in mid-December, and found 44 per cent of Canadians said they would most like to grab a drink with the Liberal leader. That put Trudeau 20 points ahead of Mulcair, leader of the NDP, who placed second with 24 per cent. Harper was third with 22 per cent, while another 11 per cent were unsure. Does wanting to get together for some socializing equate to putting a ballot in a box for that leader? Perhaps not. But it is an indicator of an underlying sympathy that can become important in an election campaign. The last time this question was asked by EKOS, in March 2010, the winner was Jack Layton, then leader of the NDP. He took 26 per cent on this poll, compared to 23 per cent for Harper and only 10 per cent for Michael Ignatieff, who was leading the Liberals at the time. Of course, Layton did not go on to become prime minister, but in the poll he bettered Harper and more than doubled Ignatieff's result at a time when the NDP was polling at just 16 per cent support, more than 10 points behind the Liberals. In Quebec, the NDP had just 12 per cent support. 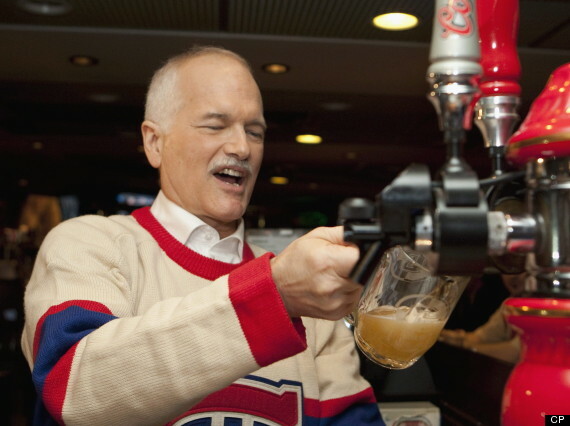 Yet Layton scored best in this March 2010 beer-poll in Quebec, where 36 per cent said they would prefer to grab a beer with him over either Harper or Ignatieff. That was Layton's best result in the country, and apart from Harper’s numbers in Alberta and the Prairies, it was the best result any leader scored anywhere in Canada. A little over a year later, the NDP swept Quebec. That doesn't mean the two are correlated, but the beer-poll was one indication of the potential that Layton's NDP had in the province despite their lacklustre support levels. In EKOS's new poll, Trudeau topped the list in almost every part of the country. He even beat out Harper in Alberta, and scored more than 40 per cent in B.C., the Prairies, Ontario, and Atlantic Canada. The Liberal leader did better than his rivals among both men and women and in all age groups and education levels. Just 17 per cent of immigrants said they'd prefer to grab a drink with the prime minister, compared to 47 per cent for Trudeau. Mulcair, however, did better than Trudeau in Quebec, as 42 per cent said they would prefer to grab a beer with him compared to 37 per cent who chose the Liberal leader. That boost seems to have come in part from supporters of the Bloc Québécois, who did not have their own party leader to choose from in the list. This could suggest that if the Bloc fades in the province when the next election campaign begins, the NDP stands the best chance of capturing those votes. The leaders do still have a lot of metaphorical bar-hopping to do before then. Both Harper and Mulcair may be hoping for the young Liberal leader to start dancing on tables and fall flat on his face. But, to stretch the metaphor to breaking point, it seems they both have some chugging to do to catch up to Trudeau (please drink responsibly).